If you’re searching for children of divorce statistics, there’s a good chance your plan is to show your spouse the devastating effects of divorce on children in an effort to convince your wife or husband to stay. Unfortunately, when a spouse has already filed for divorce or emotionally “checked out”, this isn’t going to work. 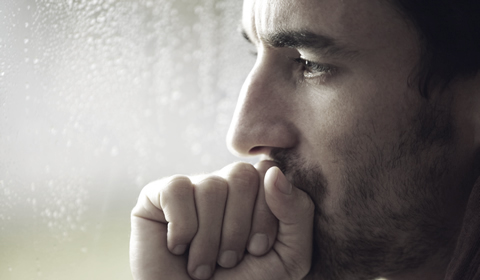 Over the years of working with couples, I’ve found that women (and men) who are emotionally dead to their spouse, will also disconnect their children’s future from the pending divorce. That means that a man or woman determined to seek his or her own relief, can no longer feel a sense of their children’s emotional condition in the years to come. That means they have no concern for the children’s emotional feelings in the future. WHY? Because this “leaving spouse” is DESPERATE, they only live for today. This is especially true for women…very often a man cannot understand a wife’s desperation because he is so content with the way things are. He wants to maintain the way things are and has no intention of understanding what put his wife in this painful condition. 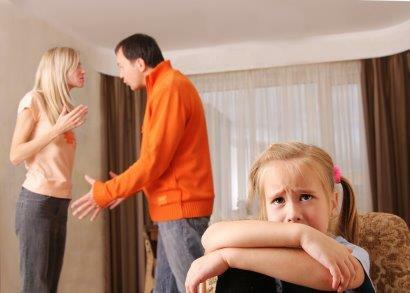 It’s during the time when the wife is trying to get away, that her husband introduces children of divorce statistics and proof in an effort to convince her that the children will suffer in the future as a result of the divorce. But a fleeing woman has NO ability to read these reports and facts. It does not matter which book or report her husband gives her. She cannot hear it or see it. If the statistic was that children of divorced homes divorce at a rate 40% higher than people who come from parents who stayed together, she will ignore it saying that no one should be this unhappy in a marriage. All she wants now is for her husband to leave her alone because he has de-moralized her so badly, that he now has become just a bad memory. That’s what results when men refuse to recognize a woman’s warning signs that she is dying emotionally inside. It takes years, but he never intended that anything would change because he was happy with the way things were. Her discontent was just her problem. If this sounds all too familiar to you, and you’re worried your spouse has already reached the “Snap Line”, DON’T GIVE UP just yet. Way too often I see people give up on their marriage assuming that there is no turning back simply because their spouse wants a divorce. If you’d like to discuss how it is possible to save your spouse from the anger, range, frustration, unhappiness self doubt and self hatred that has taken over their life or you have questions for me, you can register for a private one hour call via the link below to see if my approach is a good fit for you. 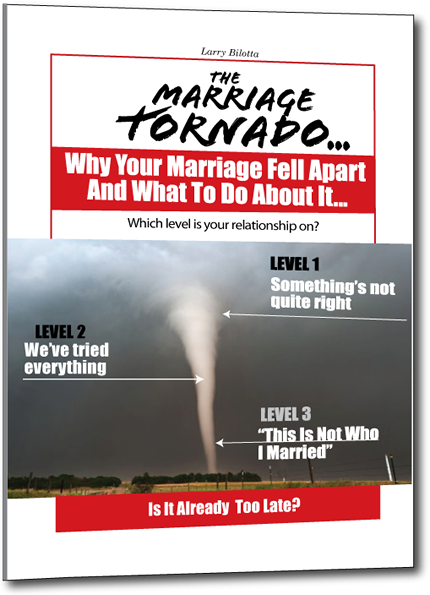 I will help you make sense of your situation and so you can understand how you arrived at this point in your marriage and what you can do about it. Click on one of the following links and enter your name and email to watch a free video presentation. After watching the video, you can request a complementary private 1 hour consultation: for men here or for women here.